What does USB mean in Universities? 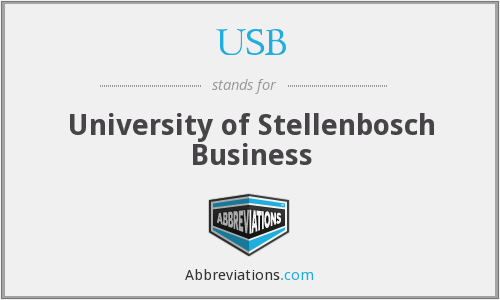 This page is about the meanings of the acronym/abbreviation/shorthand USB in the Academic & Science field in general and in the Universities terminology in particular. USB (abbreviation of Universal Serial Bus) is an industry standard that establishes specifications for cables, connectors and protocols for connection, communication and power supply between personal computers and their peripheral devices. Released in 1996, the USB standard is currently maintained by the USB Implementers Forum (USB IF). There have been three generations of USB specifications: USB 1.x, USB 2.0, USB 3.x. How popular is USB among other acronyms? "USB." Abbreviations.com. STANDS4 LLC, 2019. Web. 25 Apr. 2019. <https://www.abbreviations.com/term/2056702>.